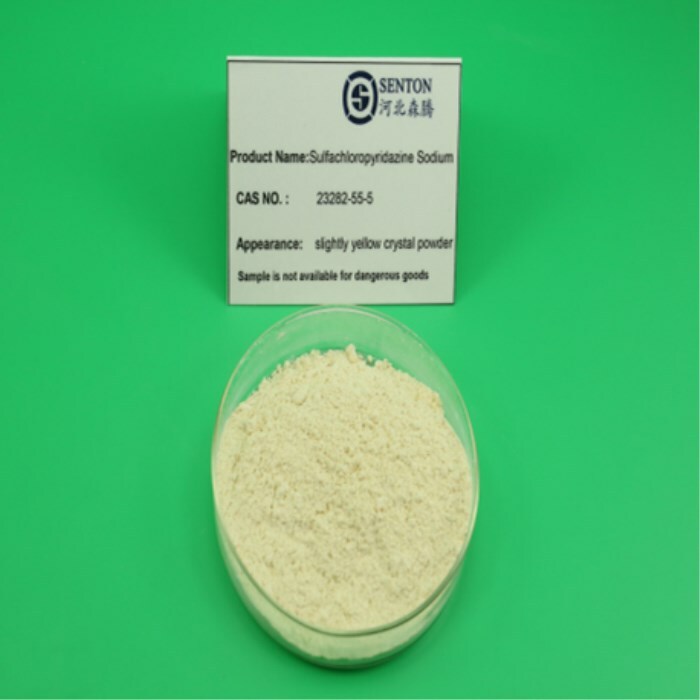 Sodium Sulfaquinoxalinum is a kind of pale yellow solid and antibacterial drugs, which by interfering with bacterial folate metabolism and inhibit bacterial growth and reproduction.It is mainly used in the treatment of explosive coccidiosis of sheep, chickens, ducks, rabbit and it can be used in the treatment of fowl cholera and typhoid fever. 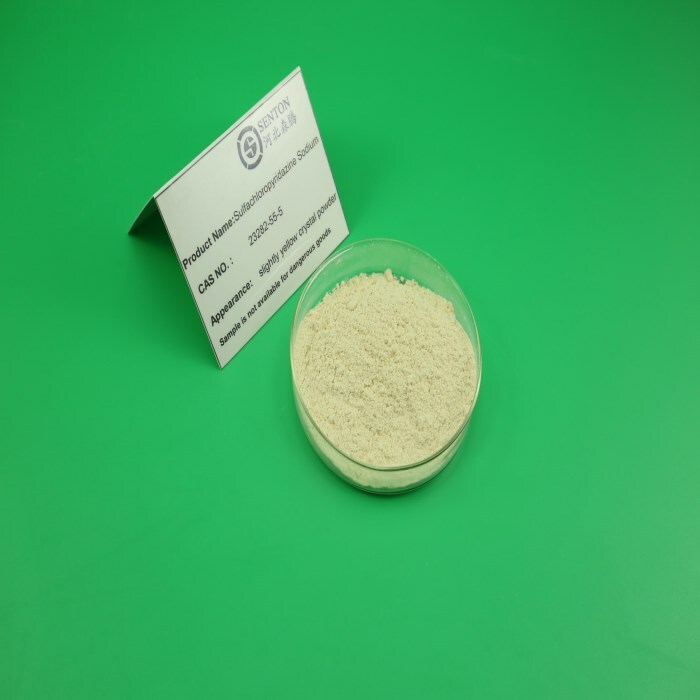 It can be used as Veterinary.This kind of Veterinary Drug has No Toxicity Against Mammals. Characteristics: Slightly yellow powder, tasteless, readily solves in water. 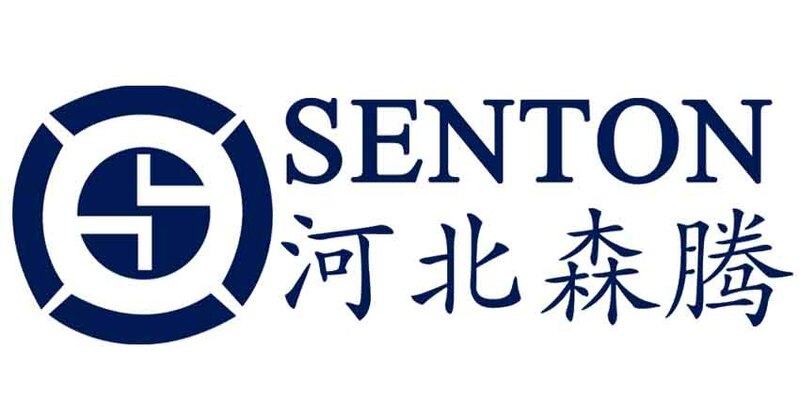 Application: As an antiphlogistic drug for fowls and animals,this product is mainly used to treat coliform, staphylococcus infection of chickens, and it is also used to treat whitened cockscomb, cholera, typhoid etc infection of chickens. Looking for ideal Used In Cattle And Sheep Manufacturer & supplier ? We have a wide selection at great prices to help you get creative. All the As A Veterinary Medicine are quality guaranteed. We are China Origin Factory of Potential Treatment Of Coccidiosis. If you have any question, please feel free to contact us.